New laws requiring the identification and upgrade of earthquake prone buildings come into effect this week. The new regime divides New Zealand into three earthquake categories: High, medium and low risk. In high risk areas such as Wellington, buildings will need to be assessed within five years and upgraded within 15 years. In medium risk areas, such as Hamilton or Nelson, the timeframe is 10 and 25 years respectively; and in low risk areas such as Auckland, it is 15 and 35 years. There is also flexibility in the regime to add 10 years to the timetable for registered heritage buildings and to exempt buildings with low risk and low usage. Schools, hospitals and emergency buildings like fire stations have been prioritised, requiring that they be assessed and upgraded in half this time. Similarly, unreinforced masonry facades and parapets in high traffic areas are being prioritised, given their high risk track-record in previous earthquakes. 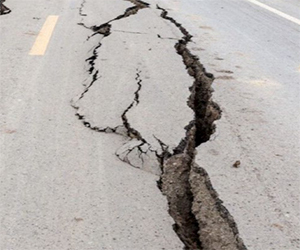 The government is supporting implementation of the new Act with regulations to help councils identify potentially earthquake prone buildings, as well as new engineering guidelines to ensure better consistency in assessments. The new law targets many public and heritage buildings. Government funds have been set aside to the replacement and/or upgrade of these buildings, while an assistance fund has been established to support private owners of heritage buildings. Government assistance may also be made available for multi-unit complexes where some parties may struggle to raise the finance for their share of strengthening costs. Officials are considering Government housing guarantee products schemes can be extended to assist in these circumstances.